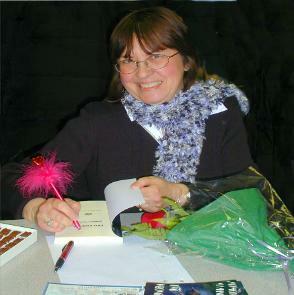 Richardson, Author of Lost in the Ivy. 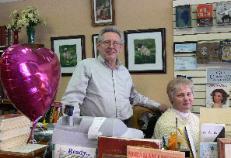 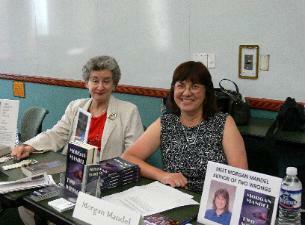 member, Jennie Spallone, at left. 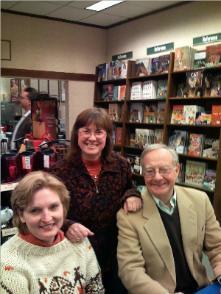 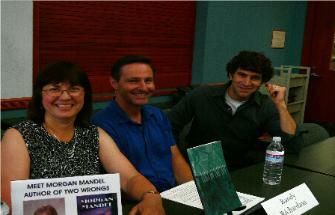 Buehler, Morgan Mandel, Gail Lukasik. 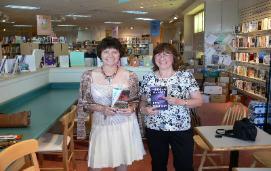 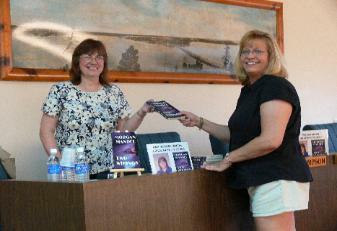 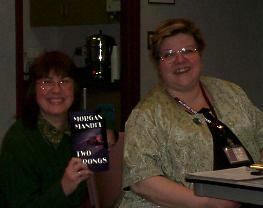 With Ann Macela at Schaumburg Library. 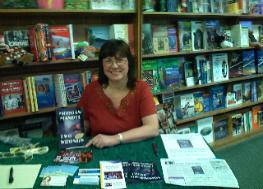 at Local Authors' Night 5/25/06. 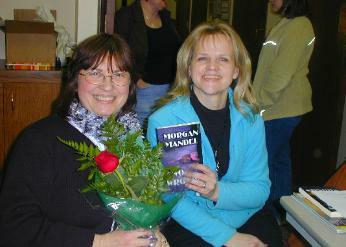 2/27/06, with rose she presented. 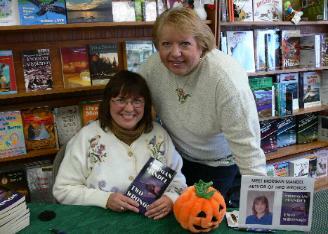 launch - to right is Mary Gipson. 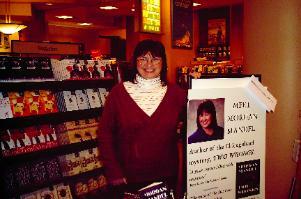 on April 29, 2006 at the Hyatt in Deerfield, IL. 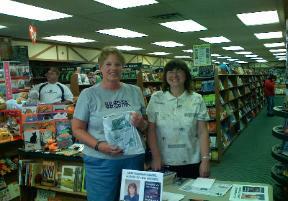 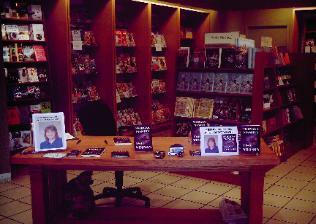 Borders sponsored the booksigning portion. 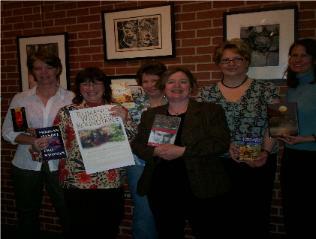 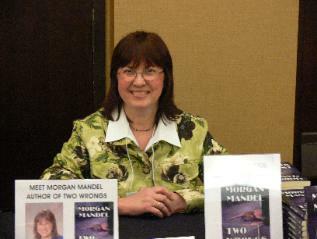 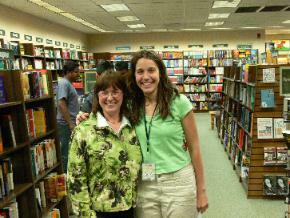 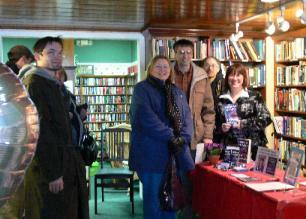 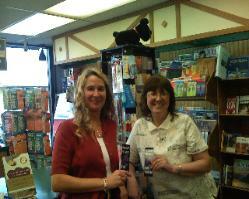 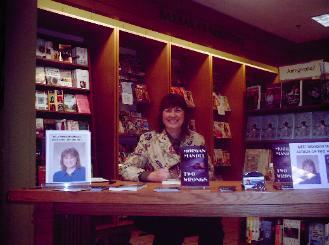 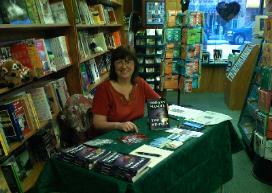 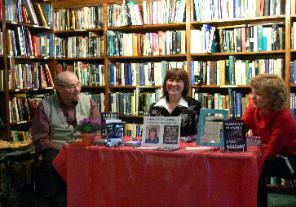 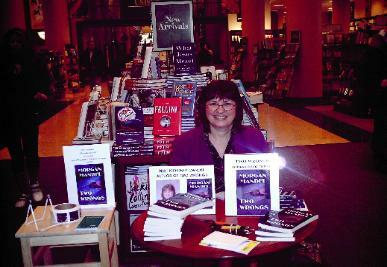 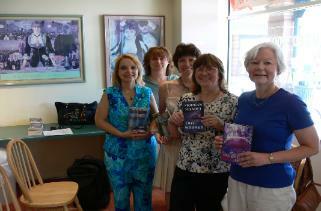 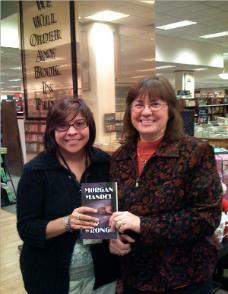 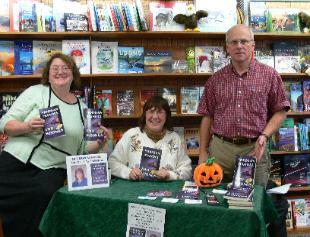 Center for my booksigning on Wed,3/8/06,at 1 E.
READ TWO WRONGS BY MORGAN MANDEL FOR FAST-PACED, POIGNANT SUSPENSE. 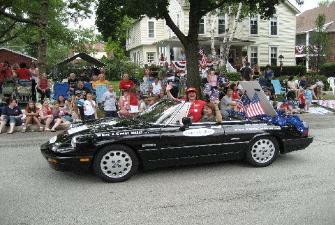 Bessa, Regional Manager, plays straight man. 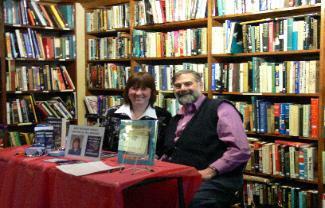 featured in the dedication of Two Wrongs. 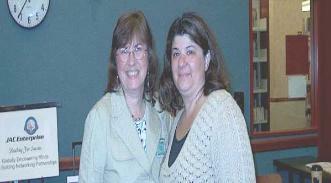 member & friend, Christina Fixemer. 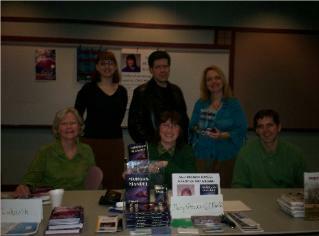 2007,at the New Authors Panel. 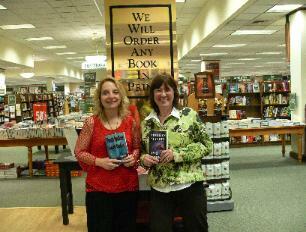 THE THEME - HAVE YOU READ A GOOD BOOK LATELY?